Provide comfort for the family of Susan Mueller with a meaningful gesture of sympathy. Susan May Firman Mueller, 83 years old, born October 18, 1935, passed away on April 13, 2019 after a brief illness. She was born in Pompton Plains, New Jersey to Harold and Irma Firman. She leaves two sisters Marge Laux of McMinnville, OR and Sally Bonner of Neptune City, NJ. She leaves three children, Brett of Mooresville, NC, Luke of Maine, and Keith of Willsboro, NY, two grandchildren, Alex of Mooresville, NC and Christy Lyn of Friendship, ME. She leaves many nieces and nephews. Sue graduated from Manasquan High School in New Jersey and married her high school sweetheart, Carl Mueller to whom she was married for 50 years until his passing in 2004. 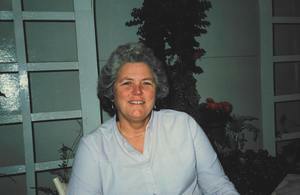 They moved to Friendship, Maine in 1981 where she was active in the community. She was a member of the Friendship United Methodist Church and helped at the Friendship-Cushing Food Pantry. She had been a hospice volunteer and worked at the voting booths. She enjoyed traveling, knitting, sewing, swimming, gardening, dominoes and local events, as well as time with friends and family. A service will be held on Saturday, April 27, 2019 at 2:00 p.m. at the Friendship United Methodist Church, 24 Main Street in Friendship.